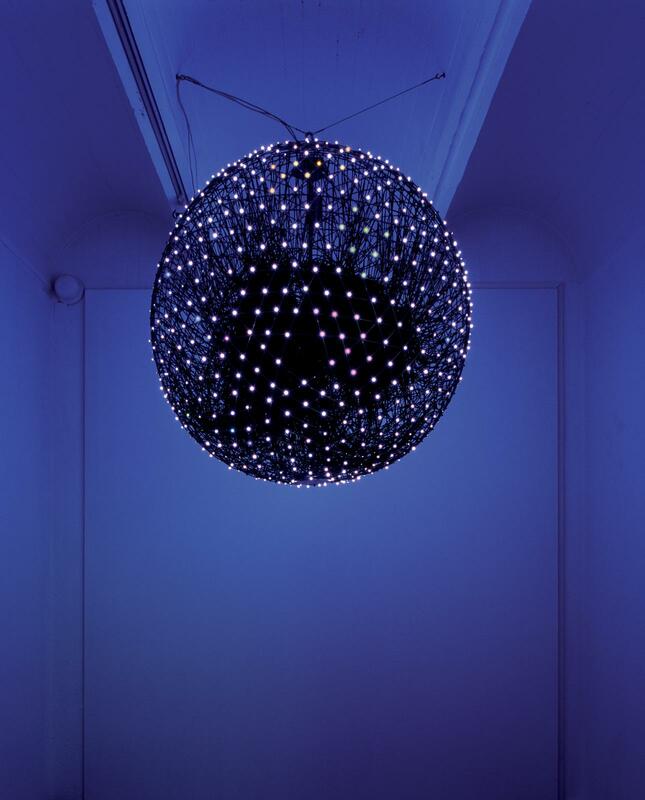 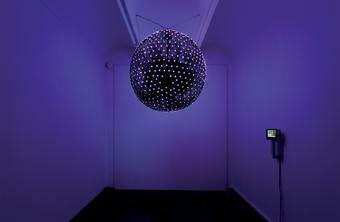 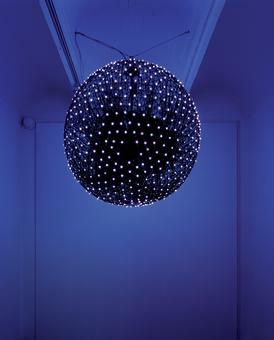 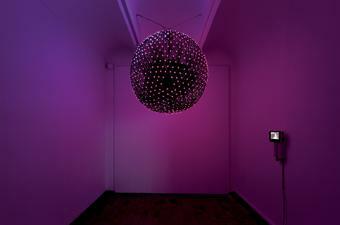 1,024 LED lights are fixed evenly on the surface of a sphere, suspended from the ceiling. 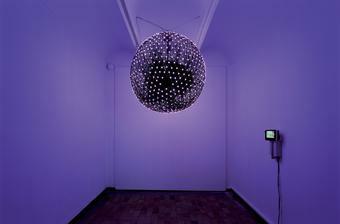 Each light is programmed to correspond to the perceived colour of a given pixel on an adjacent television screen. As the LED lights transmit the colours of the screen, the narrative of television is translated into an abstraction of colour over the spherical surface.